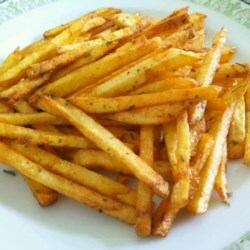 Such lovely, crispy fries! I will never use another recipe! The only change I made was that I drained my fries on a paper bag rather than paper towels; doing this makes them not as greasy.